So far there are six ornaments in the Hallmark Twelve Days of Christmas bird series. They are beautiful, sometimes with delicate, subtle shading, and sometimes with vibrant, bold colors. I’m expecting the following ones to be just as nice. 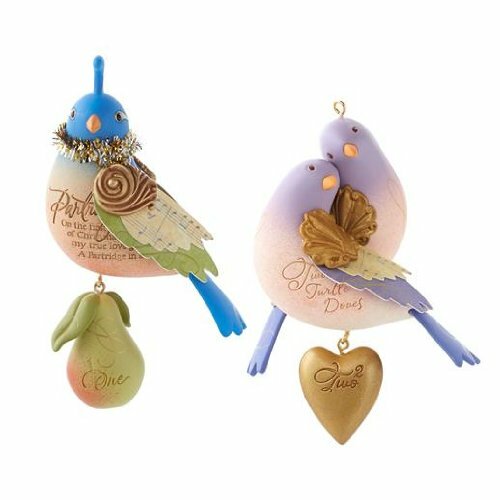 These birds are a good complement to the Hallmark Beauty of Birds Ornament Series. If you’re collecting that series, these will go well with them. Many people love birds and bird watching. The Hallmark Twelve Days of Christmas bird series would make great gifts for your bird watching friends. You’ll know what to buy each year when the new bird ornament comes out. As collectible ornaments, it’s likely that they’ll increase in value as the years go by. If you’re just getting started with this series there is a multi pack you can buy to get a head start. The Christmas Birds will look beautiful on your Christmas tree or they can displayed alone or in a group on a display stand or tree. 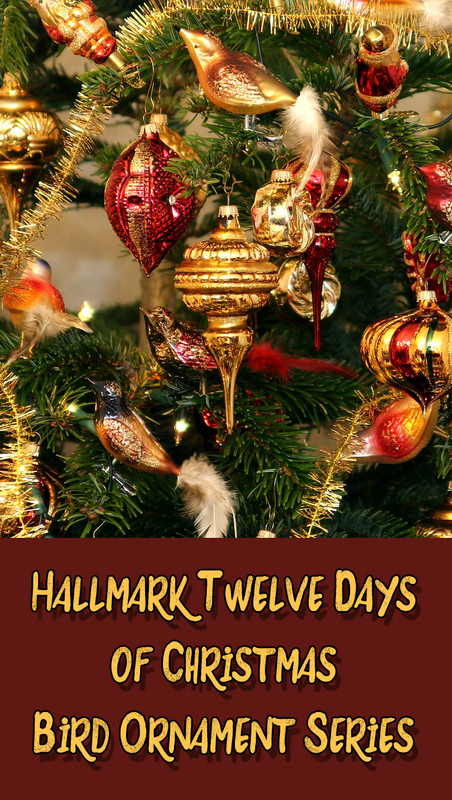 Check this page for the new Hallmark Twelve Days of Christmas birds to be added each year. If you’re just beginning your collection this is a good package to start with. It includes the first two ornaments of the series. Depending on how many ornaments you want to display, there are ornament stands for just about any amount. Get one with room to expand your collection or get one to display a single, special ornament. Some come in sets of three and in that case you could buy two sets if you need six. If you’d like to have a Christmas tree dedicated to The Hallmark Twelve Days of Christmas bird series collection, consider one of these small trees. You could set it up on a table, maybe in a sheltered corner where it would not be jostled. Some of the trees are pre-lit which saves you a lot of time and trouble. The birds could be showcased on their own tree. Fill in with some plain round ball ornaments in colors to match the birds. This set of birds could be mixed with other ornaments as you wish. Beautiful!